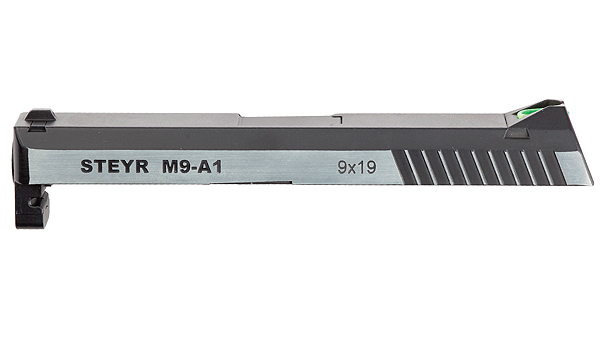 ASG Metal Slide for M9-A1 DT. Dual tone metal slide for the Steyr M9-A1 6 mm airsoft version. Use as a replacement part or as part of a custom look.